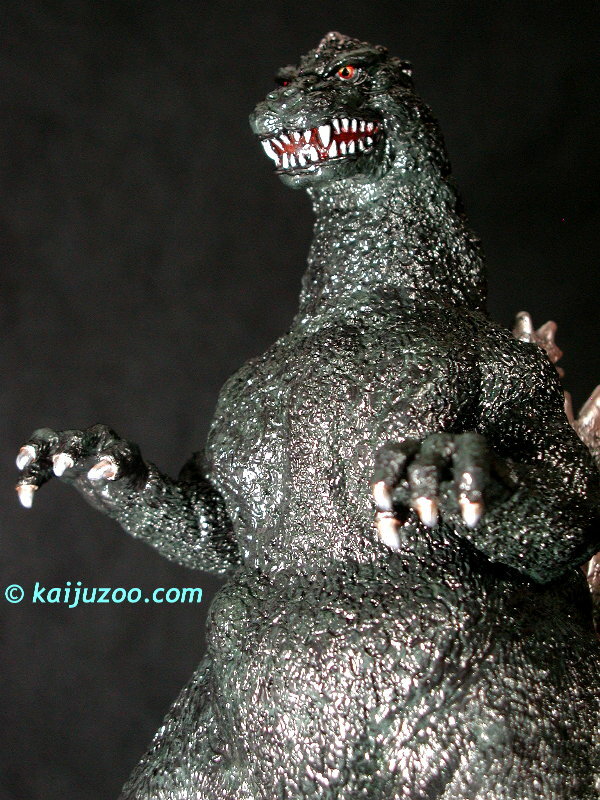 Fantastic job on the Bandai '91 Ghido-Goji Godzilla Figure! I'm glad to have it in my hands! 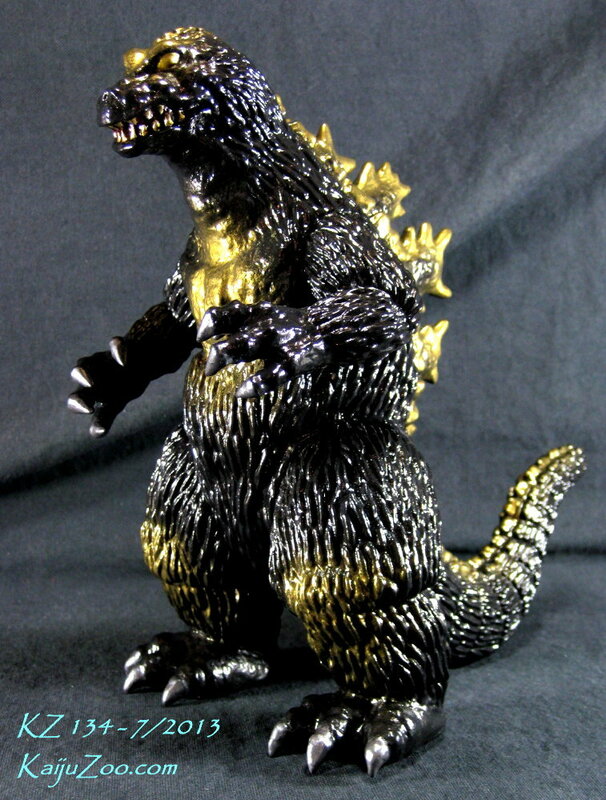 Silver Kamen wrote: Fantastic job on the Bandai '91 Ghido-Goji Godzilla Figure! I'm glad to have it in my hands! Cool, glad that it somehow found another happy home. 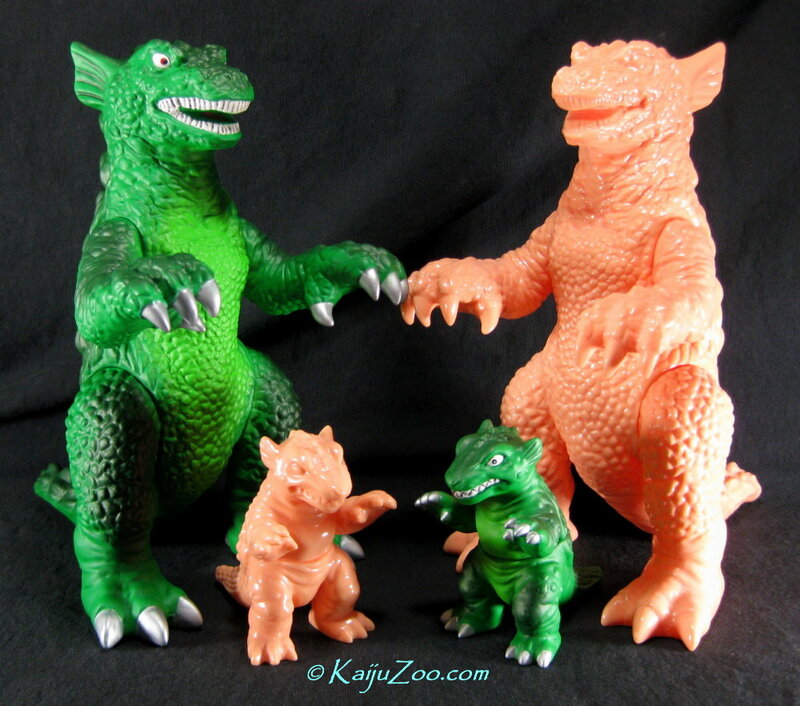 Welcome to the KaijuZoo family! There is some amazing work in here! I work in the auto industry and have painted more then a few cars, considered giving some airbrushing a go on a couple figures but never got around to it. You might have inspired me to finally try! The Radness wrote: There is some amazing work in here! Thanks for the compliment and welcome to the forums! By scanning the Customs section of my website, you can get a quick overview. Most all projects include airbrushing, usually for the base and highlight colors. And all include some level of hand painting, usually the eyes and teeth. 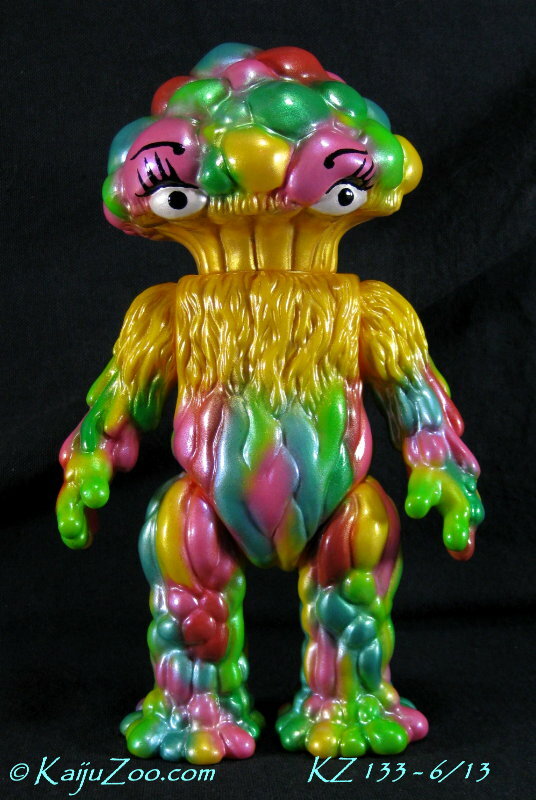 As an example, here is a recent project completed for TripMasterMunky - the M1Go yellow Matango. With airbrushed and hand-painted details, we created a nice colorful tribute to the lovely Kumi Mizuno. 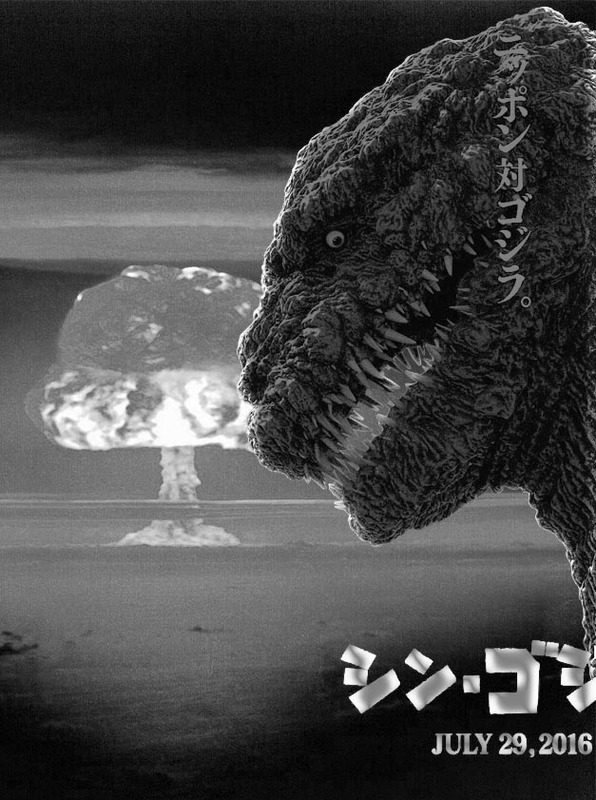 this one by King_Ghidorah as he first announced here. Def think the G'62 suit is in contention for the best ever!! 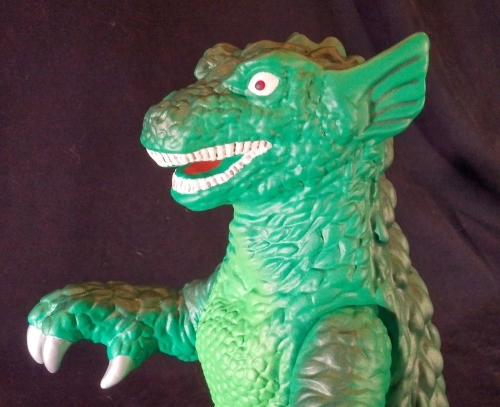 I was recently very happy with the treatment Yoe & IDW gave to the Ditko Gorgo comics, coupled with the recent fan viewing of Gorgo (viewtopic.php?f=39&t=19950) and i found myself wondering why I don't have the M1 Gorgo figure... so on a hunch I asked Jonee if he just happened to have one he'd be willing to sell. 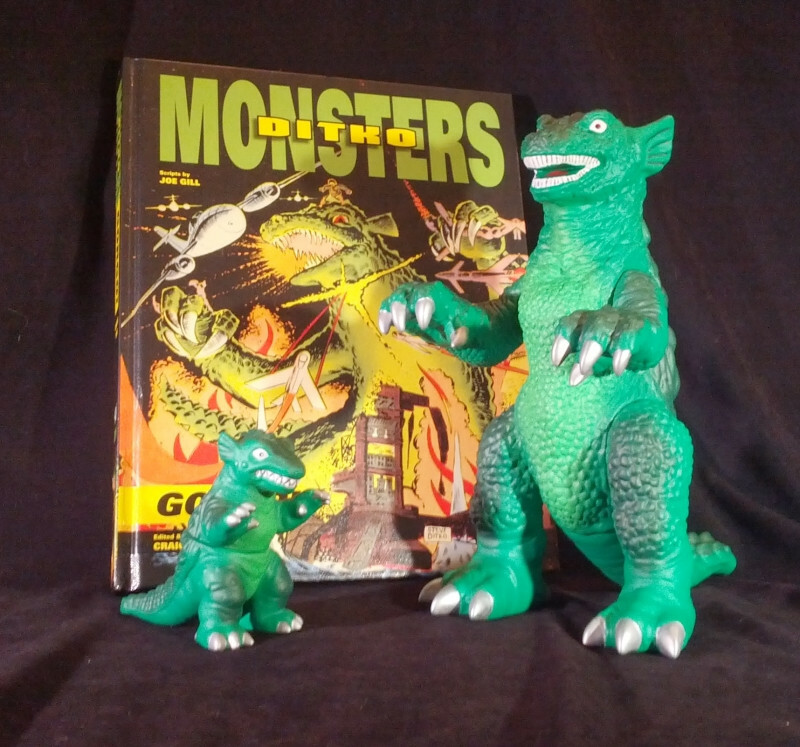 Turns out he had the set (Mama and baby.. or Gorgo and Ogra for the purists) that he was willing to sell.. but the set was the unpainted flesh variant. So i knew I wanted paint on it, but i had no earthly idea for a concept, so i started picking and choosing colors at random... the eyes in the movie stood out a lot, but the body was muddy and inconsistent scene to scene.. so i started picking elements from the Charlton Gorgo comics.. all with a high degree of uncertainty and a lot of the "if that sounds stupid let me know" kind of instructions. So Jonee said he liked the idea of the Ditko tribute and would incorporate the eye from the movie that i liked and had a few other clarifications and suggestions... but as soon as I saw his response his words hit me... Ditko tribute. So what followed was a lot of sending pictures of panels and covers back and forth. Gone was the movie eye, front and center was the white eye with the red iris and the black pupil. We opted for matte finish as that would be more in the spirit of the flat printed page. I suddenly found myself very excited about the concept, so much so that I had some doubt as to whether the final product could live up to my expectations. Then before Jonee shipped me the finished figures, he sent me a preview image and i was blown away with how awesome they turned out. Now, i often will say that pictures don't do a certain figure justice, and that's partly because i use my lousy camera phone to take the pictures... but even Jonee's pictures didn't do the figures justice. They turned out incredible and i really couldn't be happier. Anyway, here are a couple images I snapped.. maybe Jonee will put up some more, but they won't do it justice, these things are spectacular. Overall the whole process was great, I felt proud of the figures of when i saw them because even though Jonee did 99.9% of everything, I felt like i had been an active part of the collaboration and that in some way I had helped bring these figures to life. klen7 wrote: Anyway, here are a couple images I snapped.. maybe Jonee will put up some more, but they won't do it justice, these things are spectacular. Hey klen7, great write up on our project, it is fun to work together combining ideas to create something quite unique! And you are right about your cell phone pics, they do not quite bring out the vibrancy of the yellow green on the chest and the contrast of the darker green on the appendages and back. I'll be working on the project webpage over the weekend to add a few more pics. Thanks again! 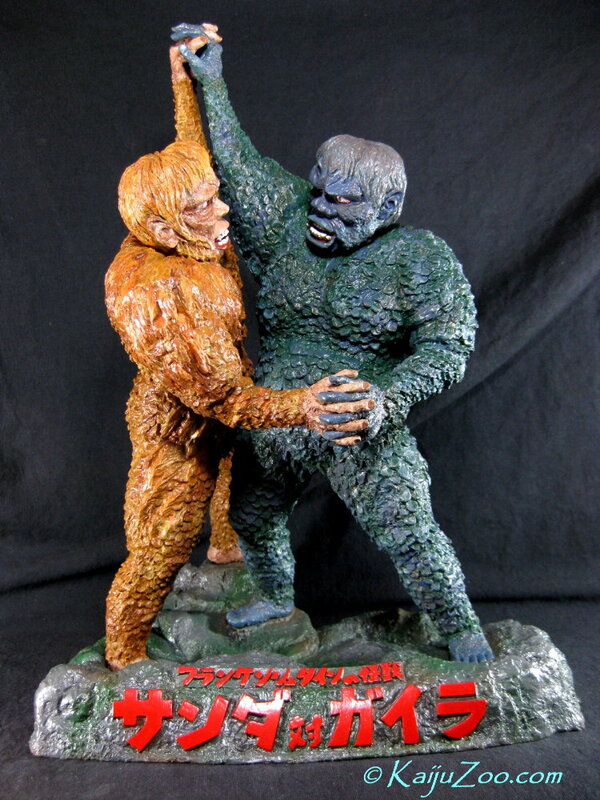 KaijuZoo wrote: I'll be working on the project webpage over the weekend to add a few more pics. The Gorgo page is now complete. 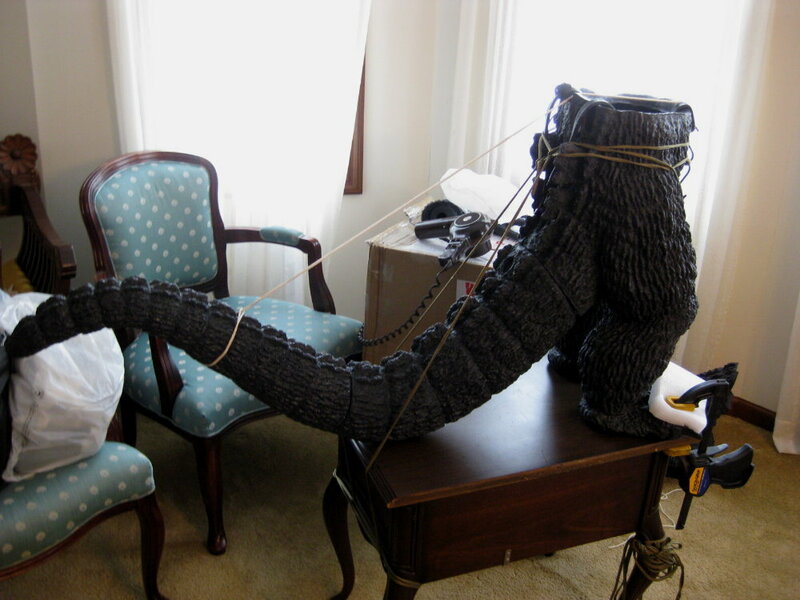 And I also added pics to the title and thumbnail links of the last 4 or 5 most recent projects (that is, at the bottom of the Custom Kaiju section on my main webpage). I still need to build the pages to add extra details and pictures for these commissions from last year. 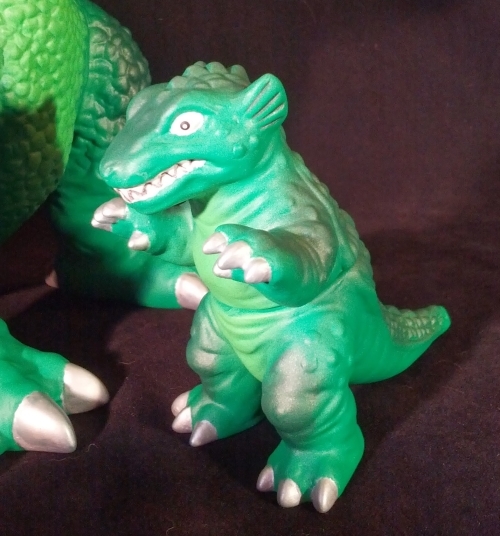 Sneak Peek - KaijuZoo Zeem Godzilla '64 Commission under development. I can't wait to see more work on the Zeem G 64. I almost bought one a couple times, but I wasn't satisfied with how it looked from the few pictures posted on the internet to spend $1000 +. The future is big, sparkling warble of superclean and we should endevour to do our best to wash our feet by it. Guess what??!! After 32 years with the same company, fixing things as a computer systems engineer, I retired today!! Woo hooo!! It feels really odd to be able to stay with the same company for so long especially in these times of outsourcing and corporate lay-offs. 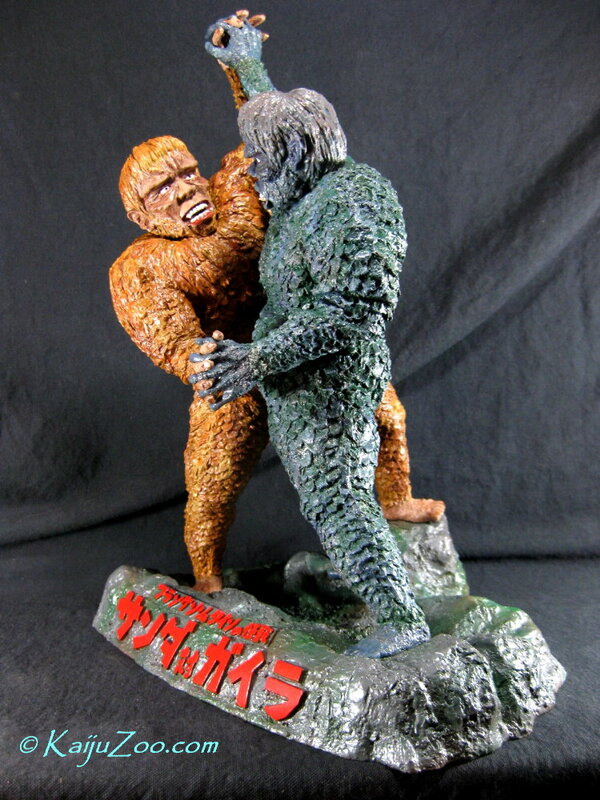 So now I will have much more time to devote to my love of creating things as KaijuZoo whether they be kit building, painting or woodcarving, etc. Congrats! What kind of woodcarving do you do? That's just awesome Jonee! Congratulations! Very happy for you! Just wondering...have you had any inquiries or anything about commissions for G'14 stuff? Thanks to all for the congrats and sorry for the delayed responses. Last Saturday (the day after retirement), I left for a "vacation" and family reunion. Mostly me and my brother-in-law and sisters helping out with some work projects at my mom's house. klen7 wrote: Congrats! What kind of woodcarving do you do? Various things such as oak salmon replicas for fishermen, cats, even a Tabasco bottle clock. 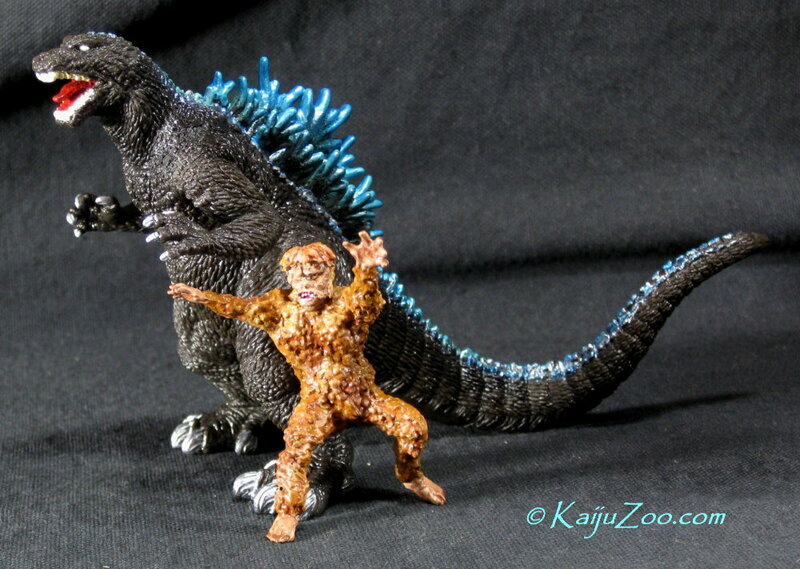 I plan to add a Gallery page to the website with pics of some of my other non-kaiju creations. howze01 wrote: That's just awesome Jonee! Congratulations! Very happy for you! No inquires on G'14 yet, could happen though after the film's release and more products get in the pipeline perhaps needing some customization. 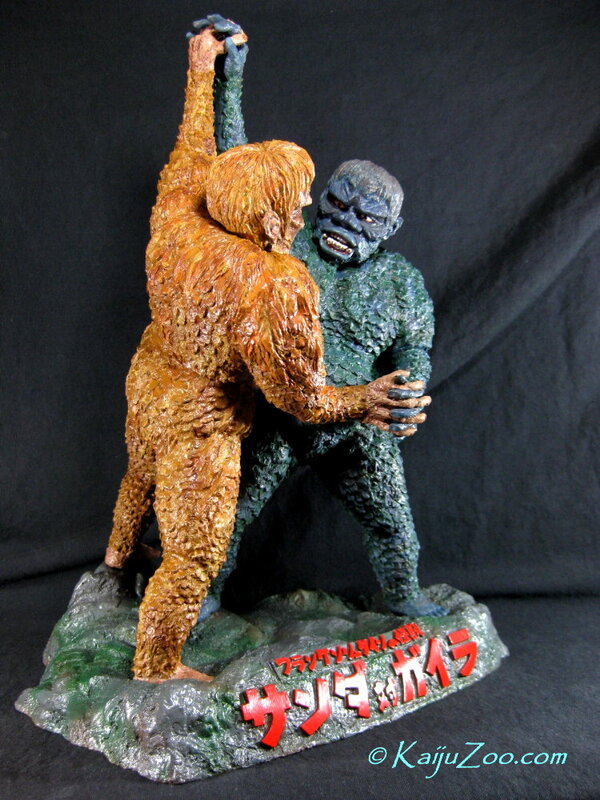 Thanks ultrase7en, I guess I should be getting your Paradise Gargantua's for the commission soon! 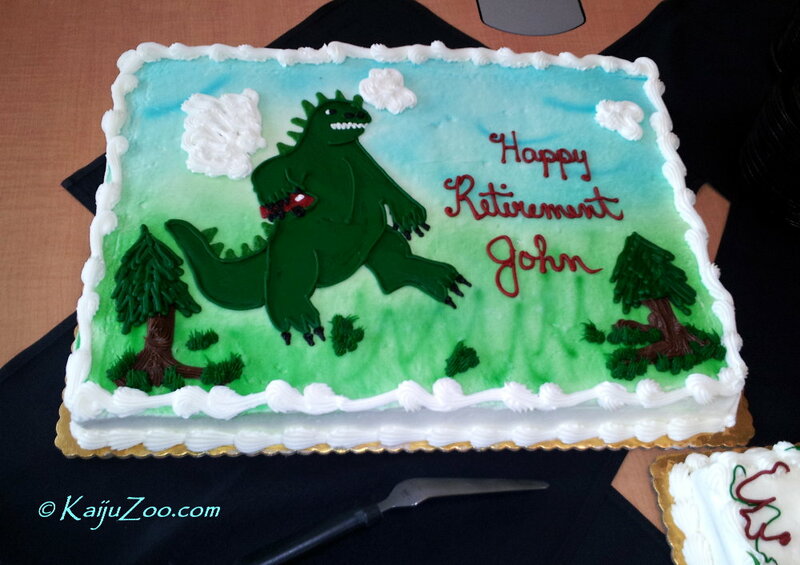 Congrats on the retirement!! 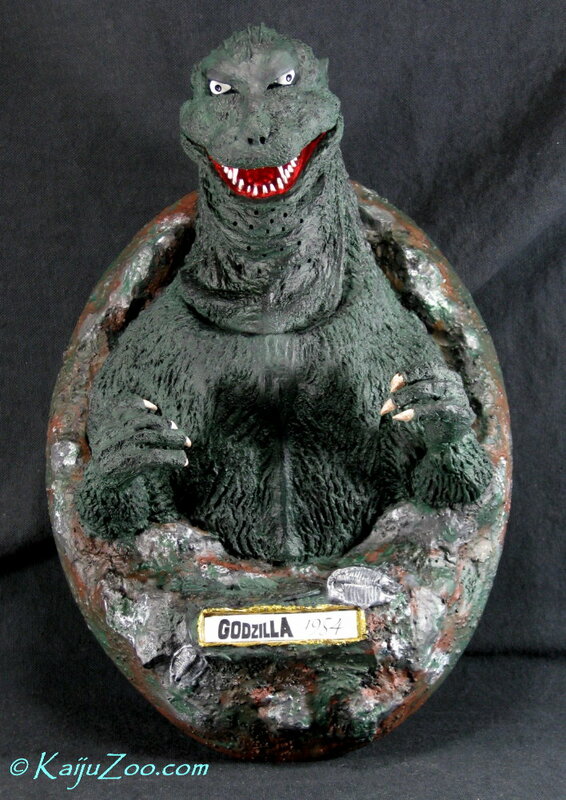 How's that Zeem Godzilla 64 coming along that you were building for someone? 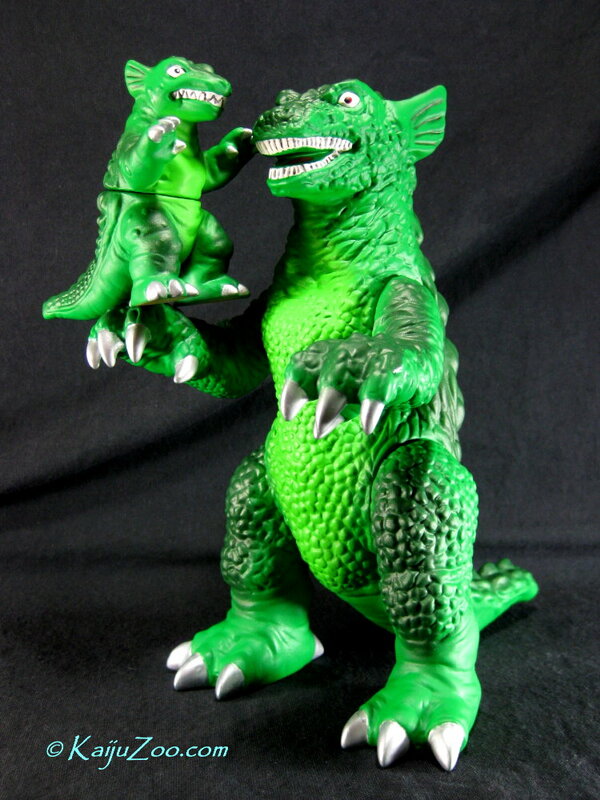 Just curious, how much would it cost to modify both six inch Bandai Creation Gigans (Showa and 2004). 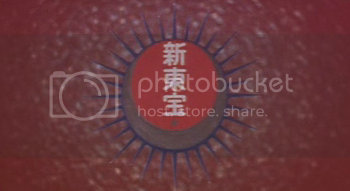 I'd want Showa to have 2004 colors and 2004 to have Showa colors. 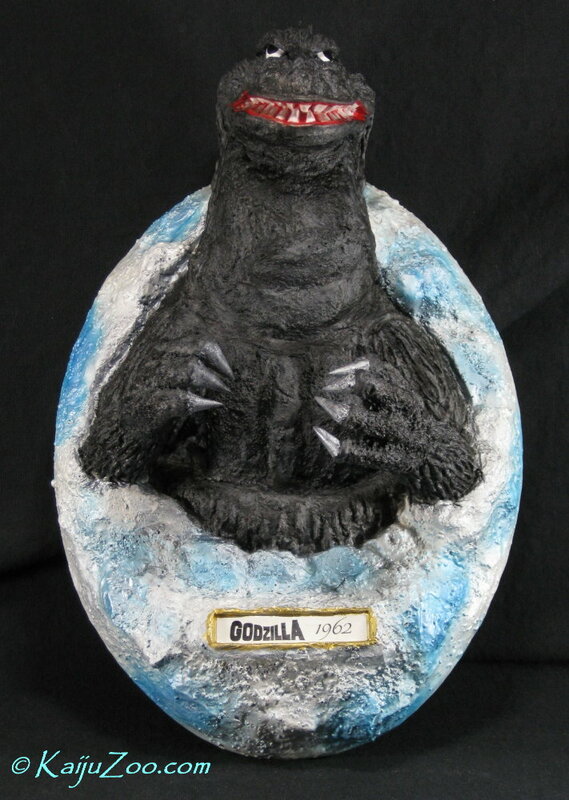 Sorry to double post, but I also have a Showa X-Plus Gamera that is missing 3 of its front teeth. I do not have the teeth (was bought this way VERY cheaply at G-Fest in 2004). Is there anything you'd be able to do to fix? Sorry to have missed seeing some of the previous posts. I went home in April for the family reunion for two weeks, then Mom went to the hospital several times but passed away at 88.5 years. Thankfully she went quickly and peacefully with her family at her side. We had a wonderful memorial service! I stayed with my sister for 2.5 months helping her with the estate and getting the house ready for sale next month. Pending commissions like the above Zeem G'64 have been slower in progress due to the above circumstances. Work will pick up later this summer. I am impressed with your work and wonder how I never noticed this thread. I seriously would love to photograph some of your commissions. DannyBeane wrote: I am impressed with your work and wonder how I never noticed this thread. Thank you very much Danny! And I too am mystified how you never noticed it before either!! p.s. I have now completed just about 140 commissions in the past twelve years. I just wanted to thank you again for my latest commissions. 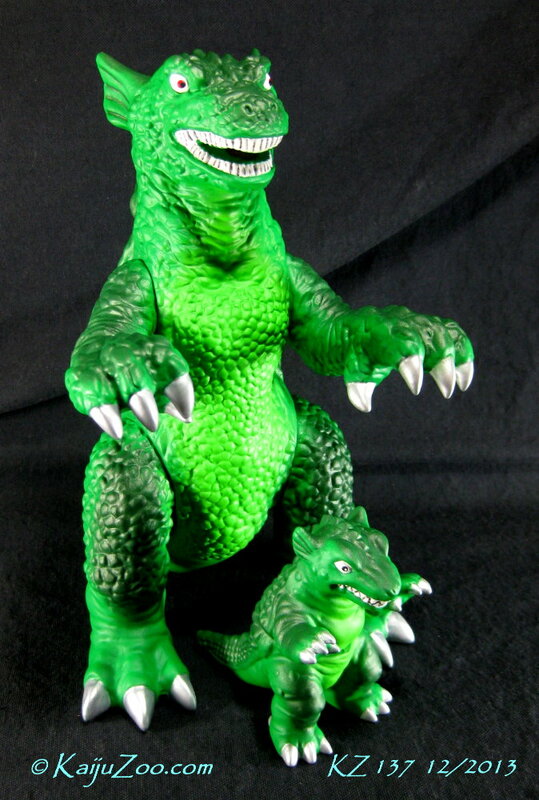 You did a fantastic job on my Paradise Gargantuas kit, the Bandai GMK Godzilla and transforming my mini Megahouse Gaira fig into a Sanda! As usual everything turned out incredible. Check out these links for pics, since I could not figure out how to attach mine. If anyone wants more pics, please feel free to PM me. Here are a few pics and customer feedback for my latest commissioned work!